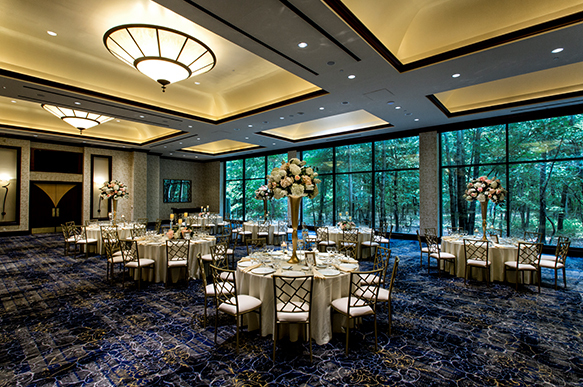 Nestled in 415 acres of protected woodlands, our elegant Nicotra’s Ballroom is a stunning location for your wedding day or weekend. Guests will experience the upscale service, style and setting offered by wedding venues in NYC in our spacious and elegant location, featuring luxurious wall coverings and beautiful gilded seating. Floor-to-ceiling windows allow you to enjoy the striking views of the surrounding woodland setting. 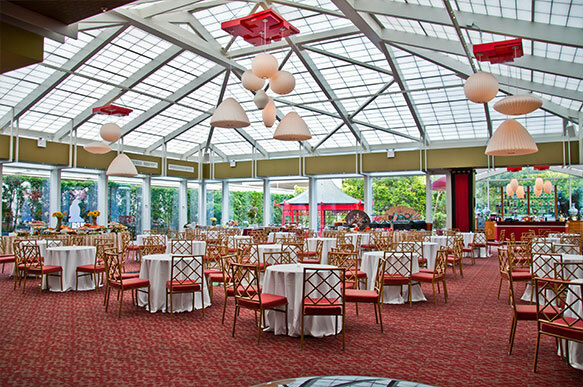 The warm vivid color palettes create an intimate feel within each unique banquet space. 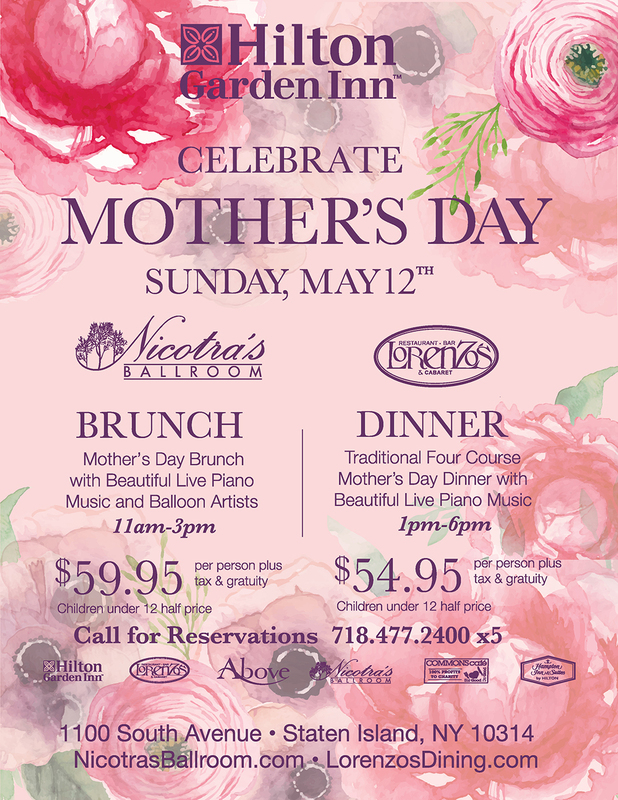 To help with the planning of your magical day at Nicotra’s Ballroom, we host a Preferred Professionals program. Our planning team works closely with the vendors and event professionals in our program to serve our brides and grooms with the highest level of service and personal attention. Owners and hoteliers, Lois and Richard Nicotra, are present at each event here at Nicotra’s Ballroom, guiding our team and overseeing each occasion. 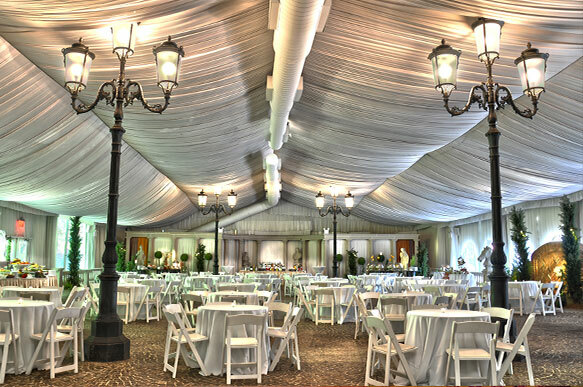 Our beautiful Staten Island wedding venue is conveniently located within the Hilton Garden Inn. Minutes away from Newark Liberty International Airport and Manhattan, your guests can be escorted via our free shuttle service to our hotel, or utilize our on-site parking. With 198 spacious rooms and suites complete with a full range of amenities, we have the necessary accommodations for both you and your guests. Family and friends can also take advantage of relaxing in our indoor heated pool and enjoying our fitness center. Lorenzo’s Restaurant, Bar and Cabaret, our Zagat rated restaurant, serves as the ideal location to host your rehearsal dinner. The Private Party Rooms at Lorenzo’s are accented by floor-to-ceiling windows, allowing guests to enjoy breathtaking views of the surrounding gardens. Enjoy the morning after with your family and friends reminiscing about your magical wedding over breakfast or Jazz brunch. Consider us the whole package! 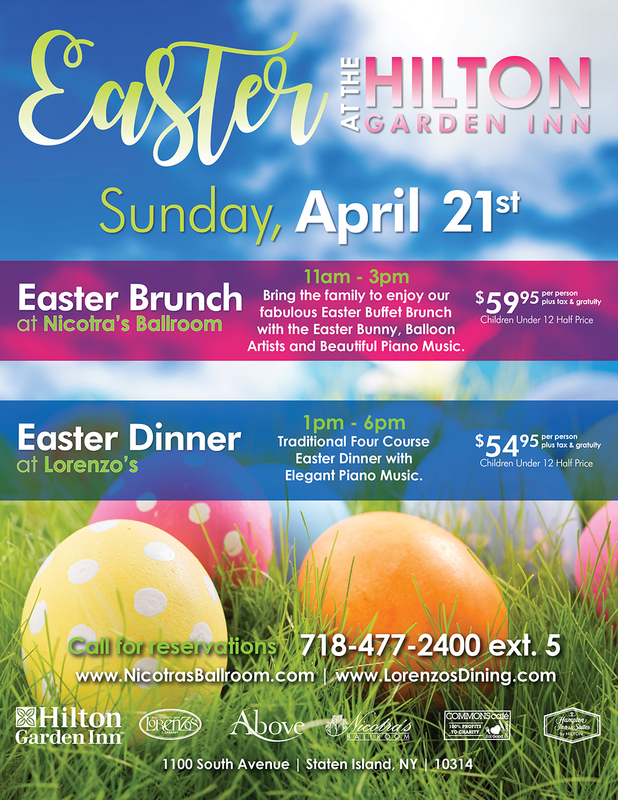 From group room rates and honeymoon suites to rehearsal dinners, from the planning steps to the big “I Do,” our beautiful Nicotra’s Ballroom offers you the services and accommodations you won’t find in other Staten Island wedding venues. We look forward to creating your dream wedding.